Ahead of the launch of Pokémon: Let's Go, Pikachu! 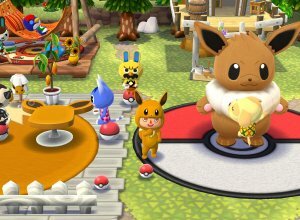 & Let's Go, Eevee!, a collaboration went live in the mobile game, Animal Crossing: Pocket Camp. This game is a mobile version of Animal Crossing where, instead of joining a town, you make a campsite where you can encounter various villagers and gather materials while doing various quests. One of the event styles is a special Scavenger Hunt where you collect various special Gyroids and use them to craft various items. On October 12th 2018, a special Poké Ball Scavenger Hunt began. 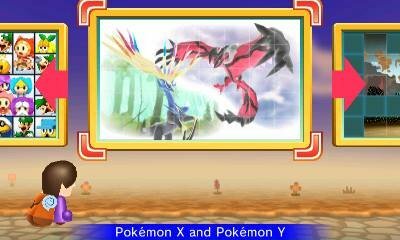 This has you hunt down various Poké Balls rather than Gyroids which can then be utilised to pay for the special items. Once the items are obtained, they can forever be in your game. Swapdoodle is the successor to Swapnote and allows for you to handwrite various messages to send to other Nintendo 3DS owners on your friend list. 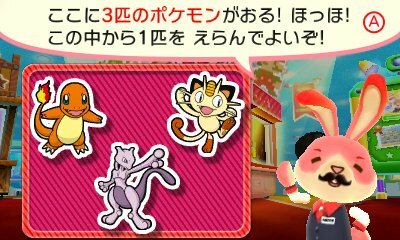 It soon got functionality to tie in with Nintendo Badge Arcade and, as of October 18th 2017 allows for the Pokémon badges obtained within that game to be used to decorate your messages. You can use up to 4 badges on each message. 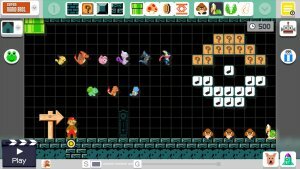 In Super Mario Maker, you can get various costumes to access through the Mystery Mushroom in the Super Mario Bros. style. 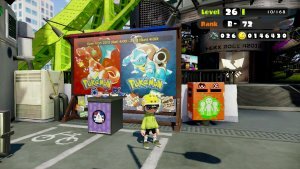 These costumes can be of a variety of characters from many Nintendo franchises, and this includes Pokémon. To get the costumes, you either have to scan the appropriate amiibo or complete the 100 Mario Challenge where you will receive a random costume for doing so. There are 9 different Pokémon costumes in this game, each with different animations but they lack additional Pokémon related sound effects. The special GameBoy Camera peripheral for the GameBoy and GameBoy Color came out within 1998 and within it, like with Mario Artist, came a variety of Pokémon stamps. These stamps can be placed upon your photographs and feature Pokémon sprites from Pokémon Red & Blue of Bulbasaur, Charmander, Squirtle and Pikachu across all verisons, Rattata, Nidoran, Clefairy, Cubone, Poliwhirl & Eevee in the Japanese version and Mew and Meowth in the International version. 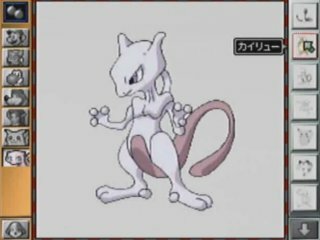 Several pictures were pre-loaded onto the game including various other Pokémon such as Mewtwo. Finally, the Japanese version has several borders which can be printed out. These featured Red on a bicycle, Blastoise and Pikachu & Clefairy. 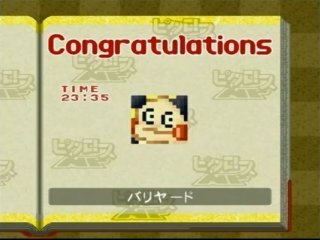 Following the cancellation of the once mentioned Pokémon Picross, Pokémon appeared in a Picross style on the Japanese only Picross NP Vol. 1. In this game, there was a variety of Pokémon Puzzles, specifically focusing on Meowth, Mr. 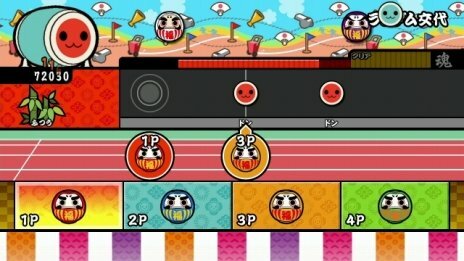 Mime, Psyduck, Clefairy, Togepi, Electrode, Gloom, Pikachu, Zapdos, Rapidash, Poliwag & Snorlax, each with advancing difficulty. 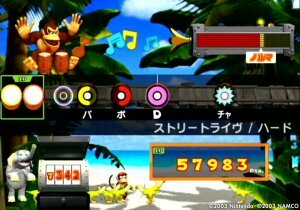 Donkey Konga is a drum based game with various Pokémon themes within them. 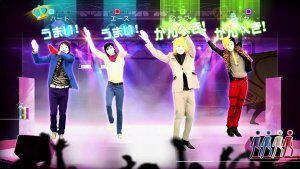 In the Japan only version of Just Dance, the ending theme for the Pokémon Best Wishes Season 2 Anime was included. 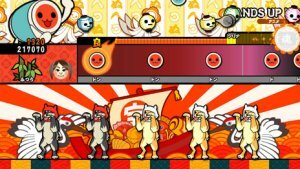 Continuing on the tradition of Pokémon anime music inclusion in the Taiko no Tatsujin series, the Nintendo Switch version includes over 70 songs, including 1 Pokémon song. This was the same globally. 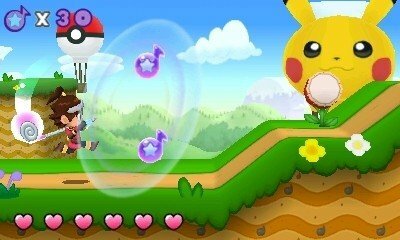 Continuing on the tradition of Pokémon anime music inclusion in the Taiko no Tatsujin series, the Nintendo 3DS version includes over 70 songs, including 1 Pokémon song and was used in the various campaigns in the game. 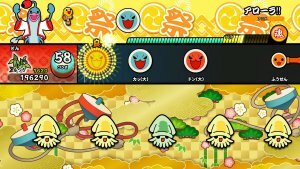 Continuing on the tradition of Pokémon anime music inclusion in the Taiko no Tatsujin series, the third Wii U version includes over 70 songs, including 1 Pokémon song. 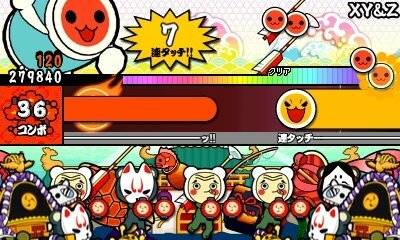 Continuing on the tradition of Pokémon anime music inclusion in the Taiko no Tatsujin series, the second Wii U version includes over 70 songs, including 1 Pokémon song. 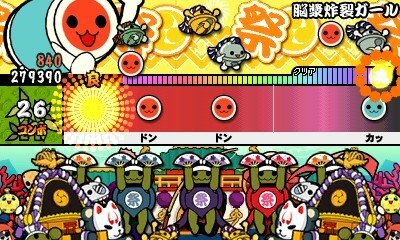 Continuing on the tradition of Pokémon anime music inclusion in the Taiko no Tatsujin series, the second 3DS version includes over 60 songs, including 1 Pokémon song. 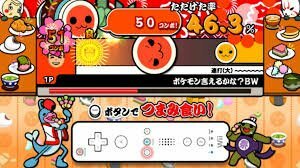 The Taiko no Tatsujin Plus game on smart devices included various Pokémon music added in through add-on content. 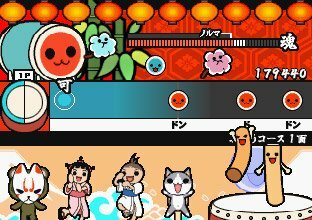 Deviating from the trend of including Pokémon anime music, Taiko no Tatsujin: Wii U Version included some Pokémon game music. 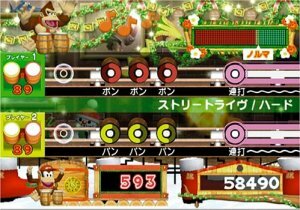 Continuing on the tradition of Pokémon anime music inclusion in the Taiko no Tatsujin series, the fifth Wii version includes over 60 songs, including 1 Pokémon song. 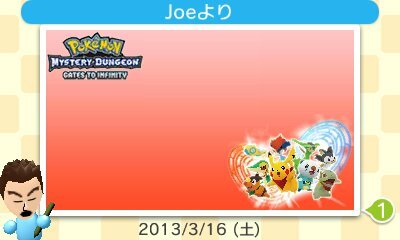 Continuing on the tradition of Pokémon anime music inclusion in the Taiko no Tatsujin series, the first 3DS version includes over 60 songs, including 1 Pokémon song. 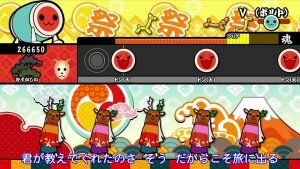 Continuing on the tradition of Pokémon anime music inclusion in the Taiko no Tatsujin series, the fourth Wii version includes over 60 songs, including 1 Pokémon song. 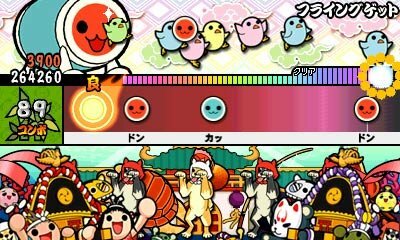 Continuing on the tradition of Pokémon anime music inclusion in the Taiko no Tatsujin series, the third DS version includes over 60 songs, including 1 Pokémon song. 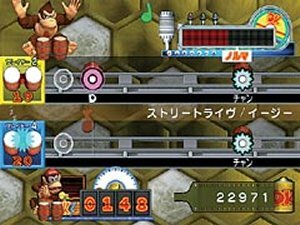 Continuing on the tradition of Pokémon anime music inclusion in the Taiko no Tatsujin series, the second Wii version includes over 60 songs, including 1 Pokémon song. 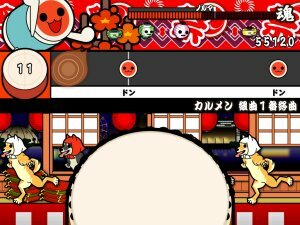 Continuing on the tradition of Pokémon anime music inclusion in the Taiko no Tatsujin series, the first Wii version includes over 60 songs, including 1 Pokémon song. 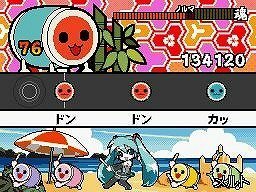 The Taiko no Tatsujin game on the Playstation 2 started the tradition of Pokémon anime music inclusion in the Taiko no Tatsujin series, including 1 Pokémon song.